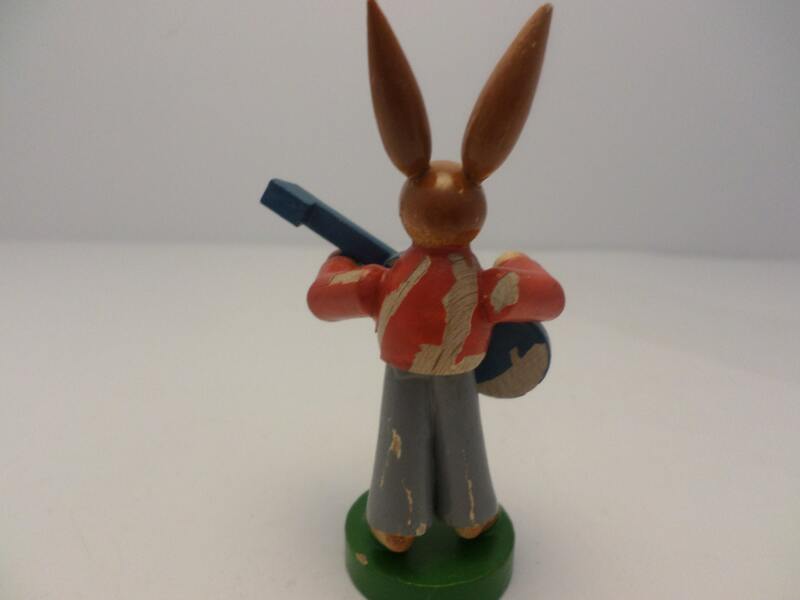 Vintage 3" wooden folk art figurine or miniature. 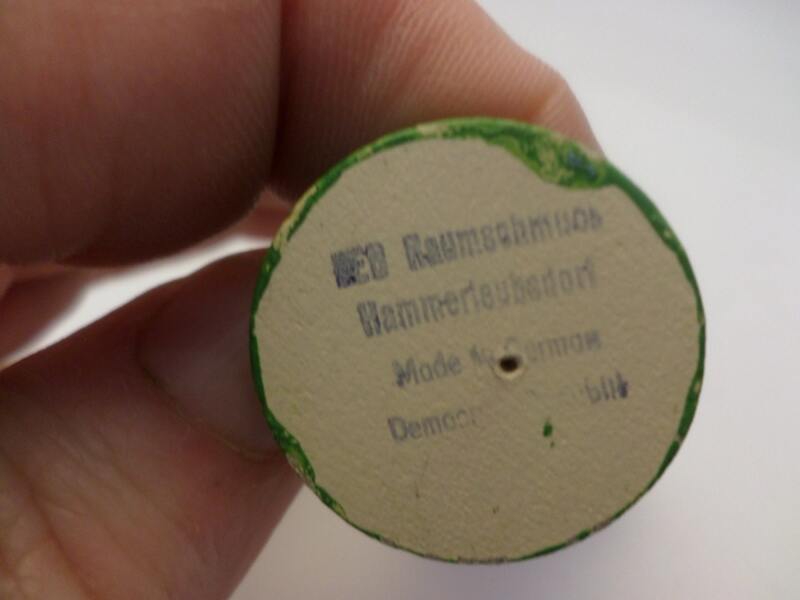 Made in Germany Democracy on the bottom. 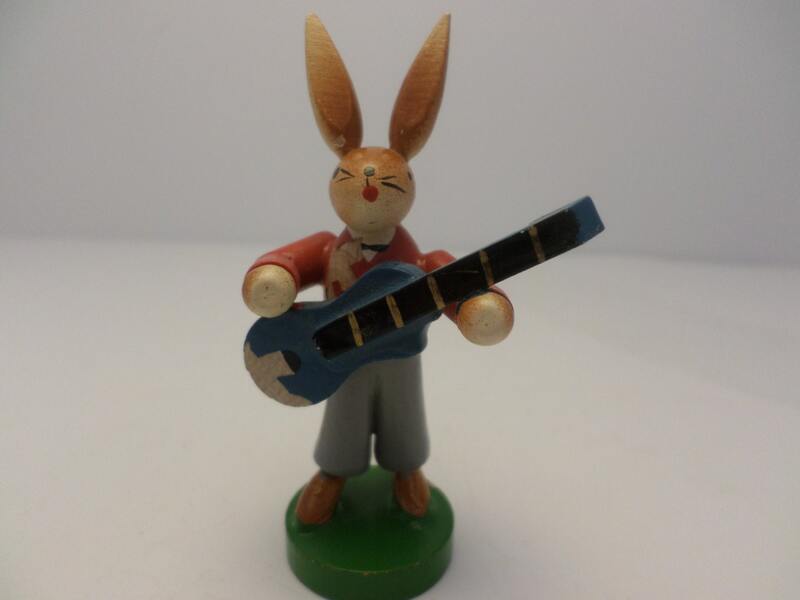 Hammerleubsdorf wooden rabbit playing guitar. 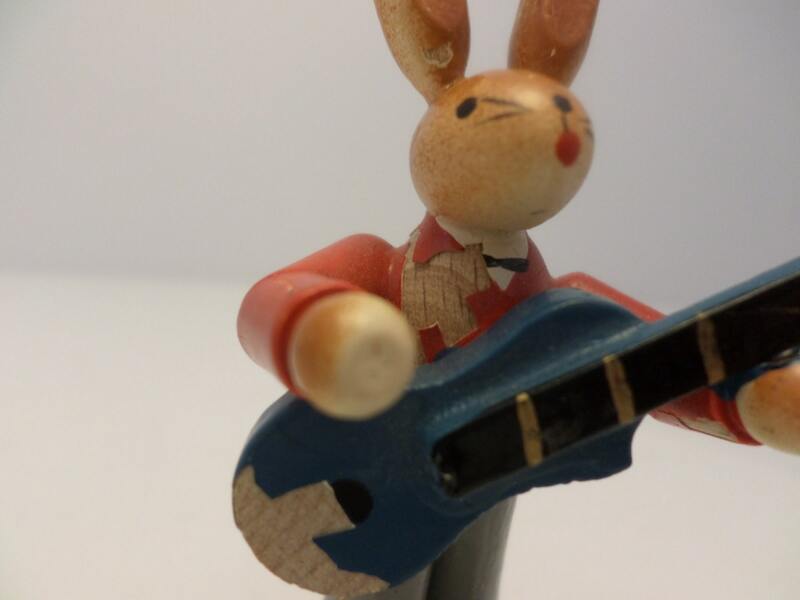 some chipped paint on guitar and his blazer see photos, otherwise nice condition.